For more than 50 years Recreonics has committed itself to providing institutional and commercial swimming facilities with the largest selection of swimming pool and aquatic equipment, products and supplies. 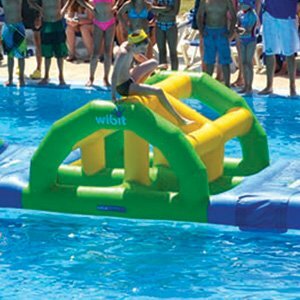 We carry the largest selection of pool products in the aquatics industry – over 25,000! Swimmers at many of the world’s most prestigious aquatic facilities enjoy the use of our products everyday. Recreonics is a preferred vendor to the YMCA of the USA and a proud member of the following organizations that share our commitment safe and fun recreation and fitness: American Swimming Coaches Association (ASCA), National Park & Recreation Association (NRPA), Association of Aquatic Professionals (AOAP) and World Waterpark Association (WWA). This web site contains copyrighted materials and may not be reproduced in whole or part without the expressed written consent of Recreonics, Inc. Much of the material and information herein is the exclusive, proprietary property of Recreonics, Inc. Unauthorized use, reproduction or duplication in any form is specifically forbidden.